New Years Goals & Giveaway! In the new year we are always on top of our game when it comes to health and fitness. Then a few months pass and our new years resolution to stay healthy and fit start to dwindle. By summer we have forgotten all about the promises we made to ourselves way back in January and our news resolution turns into something we will make come next year. I write out a weekly eating plan for myself on Sundays. Since the mornings are usually chaotic as all crazy can be I tend to stick to low carb protein shakes. I love the Muscle Milk french vanilla powder that can be found at Meijer stores. I mix it with almond / coconut milk and add strawberries, blueberries, or raspberries. Sometimes I even add my coffee to it. I eat veggies as snacks all the way up to lunch which I actually make bigger than my dinner. In the afternoon I chomp on some veggies again and then maybe grab a low carb protein bar like Pure Protein bars or sometimes I even make my own like these. Working out is part of my plan. It's hard with a busy schedule but it makes such a difference both in the way I look and the way I feel. My favorite workout and massage tool is my foam roller I got from Meijer stores. It is unbelievably amazing and is a great strength builder. I use it in the morning and before bed and I must say it has drastically changed my body. And it's super easy to use! Choosing positivity is the only way to live. Being positive keeps me motivated and it helps me get through some really hard times. Every morning I wake up and I find a positive quote for the day. I screenshot it on my phone and all day long I am reminded of it. It's such a simple act yet it does so much for me. I encourage you to try the same. I am truly looking forward to a year of fun, fitness, and family! To help kickoff your New Years goals I am giving away a Meijer Stores Prize package that includes a $25 gift card and a 2lb. jar of Muscle Milk protein powder. Enter below. This post was sponsored by Meijer stores. I stopped using traditionally shampoo 2 years ago. Between the unknown chemicals that I was putting on my head (not to mention my kids heads) and not being able to find a brand that I liked I decided to quit the chemical laden product and find a new haircare path. First, I tried the No-Poo thing. It wasn't great and my hair seemed worse off from the baking soda. For a couple month's I used a shampoo bar and all natural conditioner. That was better than the no-poo but my hair still looked drab. One day I was at Sephora and decided to check out the shampoo lines they carried. I told the Sephora girl that I was looking for a chemical free line and she led me to Wen. She said "I know, I know you've seen it on infomercials but I started using it 6 months ago and I love it! Just look at this shine!" Her hair was remarkably shiny and I happened to have a gift card. I bought a Wen Gift Set and decided to give it a try. That was almost a year ago and I have definitely drank the Wen kool aid. It is AMAZING. And it's amazingly easy. It's a conditioning shampoo which means bye bye 2 products. My hair was a bit troubled when I started using Wen and within a month it was shiny and growing like crazy. Even with all my crazy dye jobs my hair doesn't get fried and stays strong. I've even gotten rid of shampoo and conditioner for our entire household. The minis and the Chef are not faithful Wen users. If you are thinking about trying Wen definately check out their seasonal specials on the conditioning shampoo. It's a great way to test out the product and see if you like it for your hair. I give Wen 🔪🔪🔪 out of 🔪🔪🔪🔪🔪 only because it's a little pricey and that takes some getting used to. Now that winter is around the corner, my time spent in the antique claw-footed bathtub increases tenfold. I bathe when it's cold out. I love talking baths. It is my time to wind down. It is my time to think. And most important it is time spent on me which doesn't often happen. Bath Caddy: made from salvaged wood this bath tray is perfect for book and wine. Big Blue Bath Bombs: you'd be surprised how turning your bath ocean blue can help you relax. Not to mention all the minerals getting rid of toxins! Milk Bath Float from The Body Shop: a deep sleep concoction that make the bath feel like silk. Ahava Caressing Body Sorbet: A great moisturizer for after bath. Leaves you skin feeling like butter. 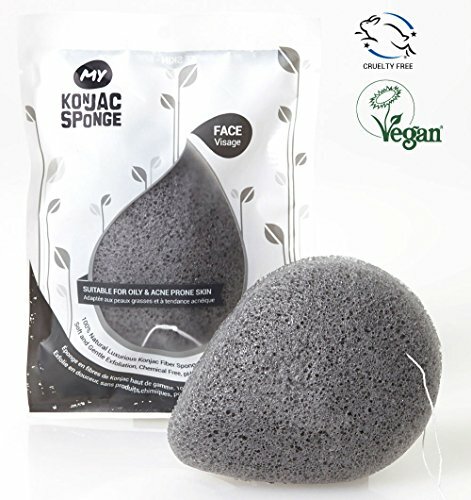 Konjac Sponge: I love this for my face so much that I bought a bigger one for my body.